This photo was sent in by Lee Tearney of Alameda California. He has created a minimalist vertical garden masterpiece using Plants On Walls Full-pocket Panels. 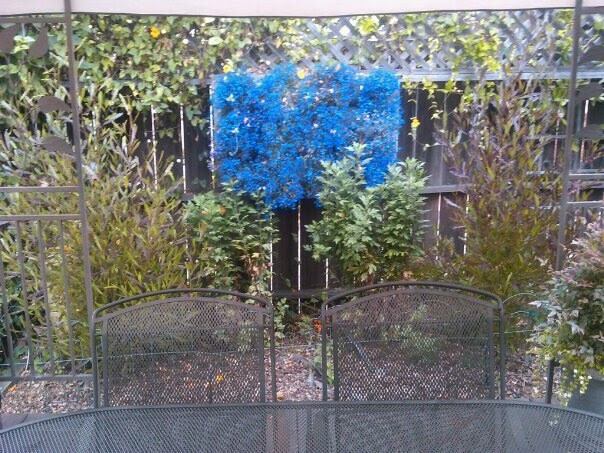 This is a stunning use of Lobelia erinus ‘Laguna Tm Sky Blue’ to create a beautiful display of color.